Performing a division? Draw a picture to help you understand it! This tutorial shows you how to draw a picture for a division problem and then takes you through the steps of performing the division. 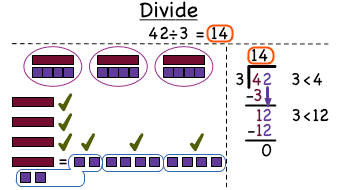 Follow along to see how to perform long division! This tutorial shows you the steps you need to become a pro at long division!